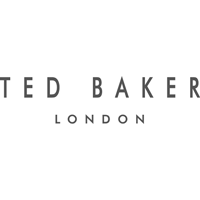 Ted Baker Plc (LON:TED), the global lifestyle brand, today announced that on 10 April 2019 it entered into an agreement with Shanghai LongShang Trading Company Ltd. (“LS”) to create a Joint Venture in Mainland China, Hong Kong and Macau. LS will assign its rights under the JV to a newly incorporated Hong Kong investment vehicle to be wholly owned and formed by LongGoal Holdings Co Limited and Infra-Apparel Group Pte Ltd.
Over recent years, the Company has invested in introducing and developing the Ted Baker brand in the Mainland China and Hong Kong markets. The Company has opened eight stores in these markets to build and support awareness and understanding of the Ted Baker brand, including three stores in Hong Kong as well as five stores and one outlet store in Mainland China. The Ted Baker Board believes the JV will support delivery of the significant growth potential of the brand in the Chinese market. The JV intends to build on Ted Baker’s existing store portfolio, expand the concession network and further invest in Ted Baker’s local market online capabilities. Under the JV agreement, Ted Baker will issue shares in the share capital of its wholly owned subsidiary Ted Baker Hong Kong (“TBHK”) to the JV Partner for a total subscription price of RMB50m (c.£5.7m), in return for a 50% interest in the shares in TBHK. Ted Baker’s net cash contribution is anticipated to be in the region of RMB30m (c.£3.4m). As part of the deal, Ted Baker anticipates approximately £6.5m of transaction related costs at completion, which are mainly non-cash and include an amount of stock and tax assets that will transfer to the joint venture at nil-value, restructuring charges and deal related costs. Infra has established brand-building and store roll-out credentials in developing the Golfino brand to 60 stores across China over the last five years. Infra also has strong digital marketing and eCommerce operations experience. LongGoal currently operates as a successful Retail Distributor for Gant AB, operating more than 165 directly owned and 25 sub-franchised locations in China as well as 44 directly owned and franchised Bebe stores. The JV will be able to leverage LongGoal’s existing nationwide network of human, physical and supply-chain infrastructure to drive Ted Baker’s long-term growth in the region. “We are very excited about the next stage in the growth of Ted Baker across the significant Chinese market. Over recent years we have invested in introducing the Ted Baker brand to Chinese customers, and we are confident that the creation of this JV will build on this platform and deliver meaningful long-term growth.